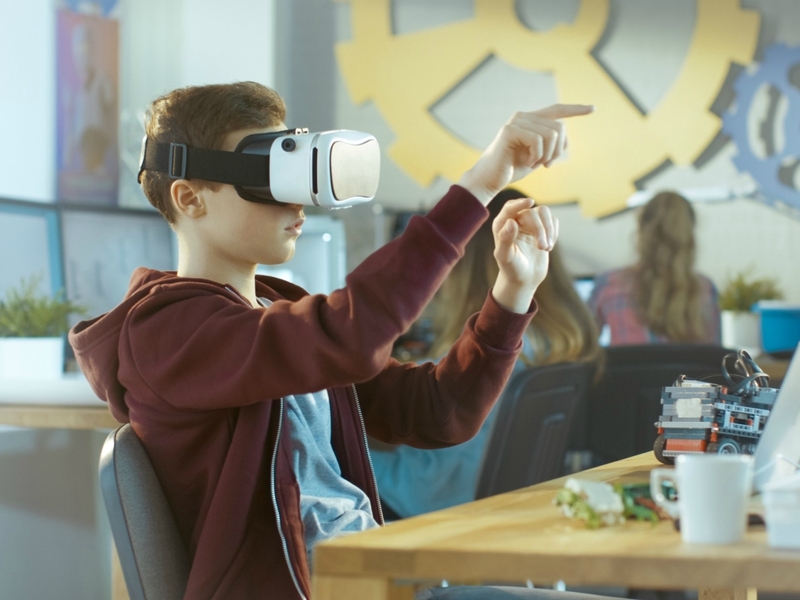 There are many benefits to using augmented reality apps, like creating awesome learning experiences and new and innovative learning possibilities. What makes AR so special is that you can control the complexity of your students’ lectures by choosing apps which most suit your class needs. You and your students can even create your own apps connected to the content that you are teaching in a matter of minutes. Using basic AR requires a few items – a tablet or smartphone with a back-facing camera, a trigger image and a working internet connection needed for overlaying information. Something as simple as a QR code can be the trigger which works by launching an AR event on your tablet or smartphone. You can also use a special printed image or photograph which can be viewed through a specialised app. Great new apps used for viewing trigger images are constantly being developed and on this way, promoting AR. With a little research you can find the best deal on the web for these kinds of apps.This is a great way to save time and money in finding something to suit your exact teaching needs. Having active participation in the classroom is important to every teacher. Via an augmented reality app that students are able to get a better and deeper understanding of the concepts of the subjects they are studying. Engaging students to participate is an amusing way in which you can emphasize the concepts they have been learning about in their lectures. The integration AR into your lectures gives you the ability to capture the attention of your pupils like never before making them give you their precious, undivided attention which is often so hard to come by. The prototypes, posters, and physical models used for education are all generally very costly. Usually, schools cannot afford to buy all the required teaching props and materials. Not to mention that these materials are quickly outdated, worn down and lost. By using AR apps, you no longer have to spend large amounts of money on teaching props and materials as students have access to all models and materials at any given moment from any device. Another great advantage is that they can do this even when they are not in the classroom, making learning even more accessible. By simply scanning a QR code for example, students can access augmented models which can represent anything from an atom, a famous piece of art or even part of the human body. Students also have access to other websites with specific augmented reality apps. This works in the following way; a students scans a photo which is linked to a 3D model of the Statue of Liberty and can be directly taken to a website which hosts an abundance of information on the famous statue. In this way students are offered a holistic learning approach in which they are able to retain more knowledge for a longer period of time. By fusing augmented reality apps into your lectures and classes, your students will get more excited about learning. Being that most of them were born in the age of digitalisation they will continually be stimulated by augmented reality. This means that they will have new ideas and and use their creative potential to the maximum while maintaining a critical mindset in assessing the world they live in. The introduction of augmented reality to your students will help them explore their passions and future ventures like never before.